The need is greater than it has ever been before. Right now, this moment there are countess numbers of boys who are yearning for someone or something to notice them. If you would like to join our community and be on the cutting edge of this movement, we welcome you! Boys to Men is always on the look out for powerful and compassionate individuals seeking to join our community and help lead the movement. Your time as a mentor will bring about life changing experiences for both yourself and the young men you give your time to. There is a real hope for the future of our nations young men. 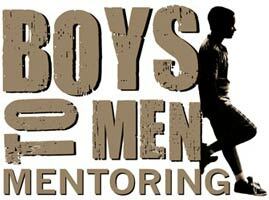 Boys to Men has discovered a proven way to engage boys at the most critical times of their lives, and help guide them on a direction opposite of self destruction.